I spent years answering the question why I started running with I’m running from heredity. Both my parents had Type 2 diabetes; both had high blood pressure. My father had heart issues and ultimately died of a heart attack. Both my parents had lung cancer, which is what ultimately killed my mother. 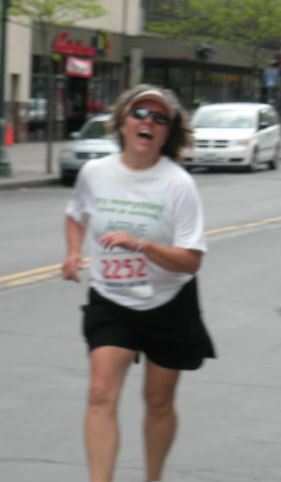 I started running in 2007, just before my 46th birthday. I weighed 220 pounds at the time. That was higher than I had ever weighed in my life and I wanted a life. I also wanted to lower my chances for some of these controllable health issues my parents had at that time. Running was not easy for me. At first I swore I was doing it only for me. Then, I caught the racing bug and the running became more important. I went from running a 5K in December of 2009 to a half marathon in March and in April of 2010 to the Mountain Goat 10 Miler in May of 2010. While I didn’t, at the time, have a regular doctor, I kept track of my weight and blood pressure regularly. Everything seemed great. Both were getting to be lower numbers. I left NY in May of 2016. I was still running at least 25, closer to 35, miles a week. I had let some of my training slip as I had spent a good deal of time cleaning out a house I’d lived in with six kids, and brought those kids up in, for 20 years. I was still running, though. The move to NC was perfect in every way but running. I could run the lake but I wanted to run trails. No one did that much in the part of Western NC I was in. I just could not justify driving the 30 miles to Asheville once or twice a week to hit the trails with someone or with a group. I ran a half marathon the October after I moved. I loved the race but results were so-so. I had not trained properly. I ran another half marathon that November. I placed in my age group in both races but I was still unhappy with the results. I knew I needed more running time but didn’t push myself. Speaking of change, I had some pretty horrific female issues that lead to my not running at all for about two months. Starting up again was like starting from scratch. I had more in person clients and an actual job. Running started taking a back seat. I did less and less. I also starting putting back on weight. My cholesterol was high. I experienced fairly uncommon side effects from the statin my doctor put me on. Running was still on the back burner. 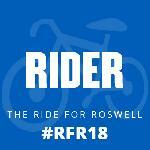 I registered for three races so far in 2018 and a 45 mile bike ride. The first race was March 31st. I placed fourth in my age group. It might have been my worst time ever in a 5K. I dislike the 5K distance as I am not going to run 5-10K prior so I’m good and ready. I feel like I am just getting started and it’s over. Next up is the 45 mile bike ride in the Buffalo, NY area in June. Hopefully, it will not be raining and not too hot. Picky, I know. I will start running again with a consistency I knew back in the beginning of my running. My doctor just put me on medication for diabetes. I’m borderline but she thinks I should try it for three months. My blood pressure is higher – at least at my appointment yesterday – than I remember it ever being, except when I had pregnancy-induced hypertension. Both of these issues are controllable through diet and exercise. I just need to start scheduling my exercise and controlling my diet. Why do you run? Do you have, or are you running to prevent, health issues?